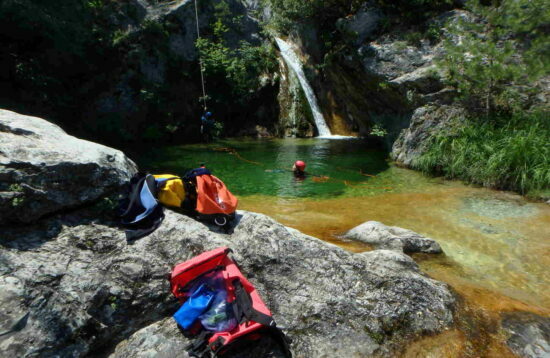 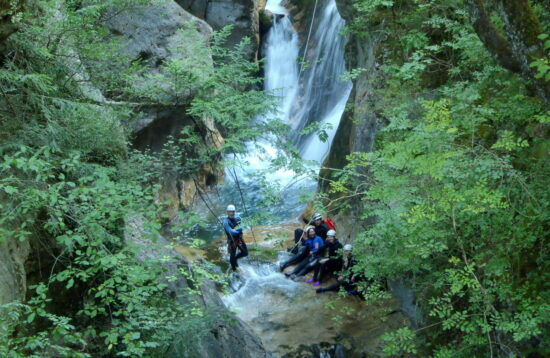 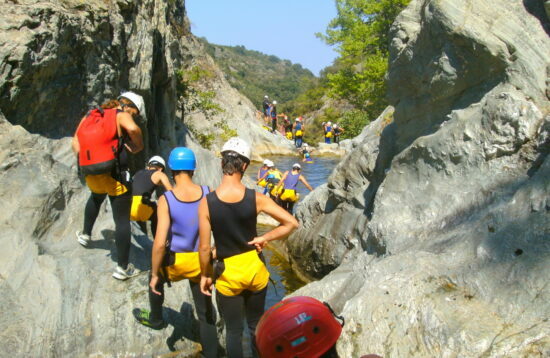 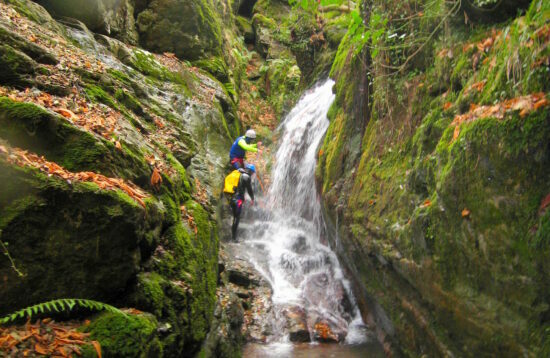 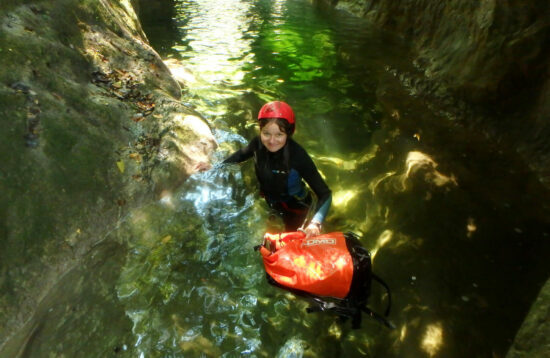 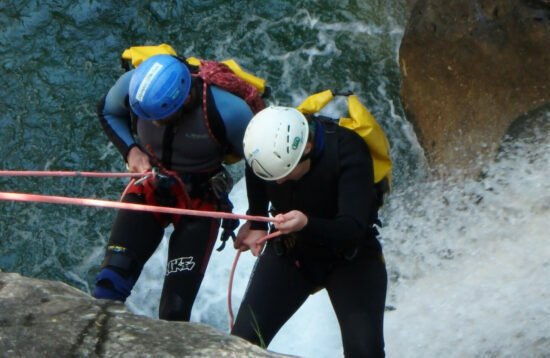 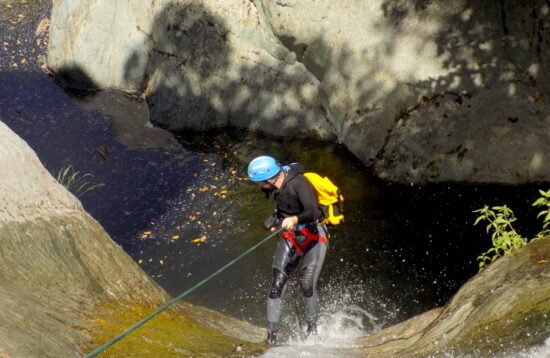 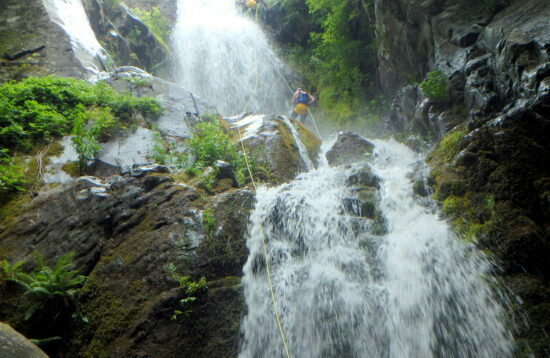 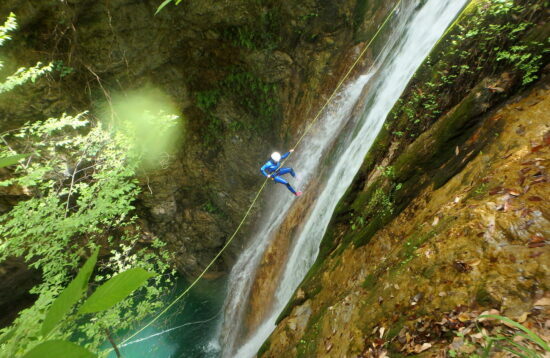 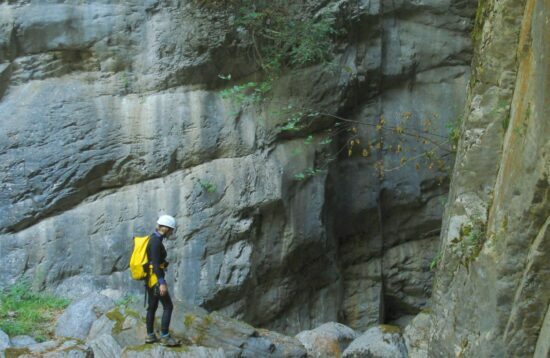 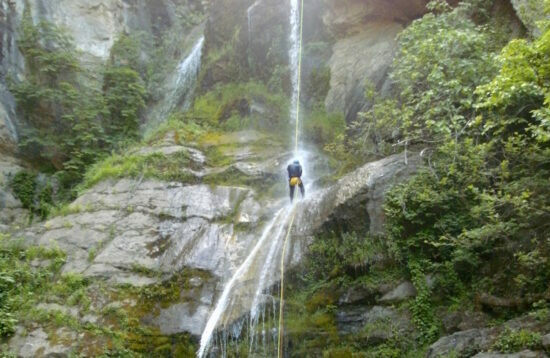 Canyoning offers to the participant more than any other activity in nature. 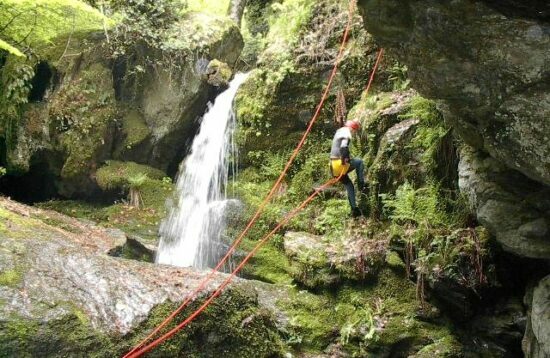 It combines in the best possible way off path walking, swimming and jumping in natural pools, water sliding, fly-foxing and of course abseiling in or alongside the waterfalls! 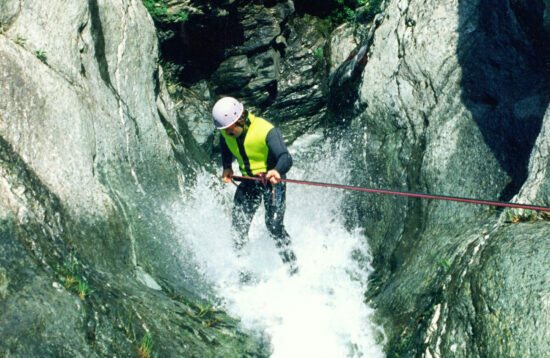 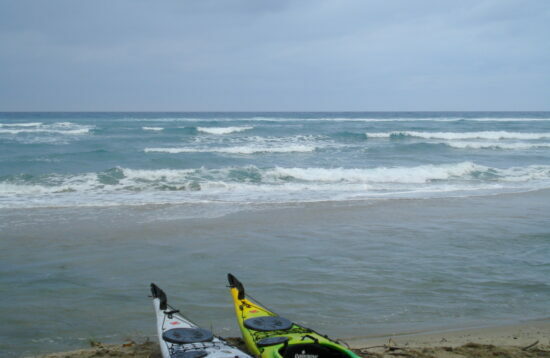 All this is done with absolute safety, following all the appropriate safety precautions, along with the use of the most specialized equipment (neoprene wet-suits, protective helmets, harnesses, e.t.c.) 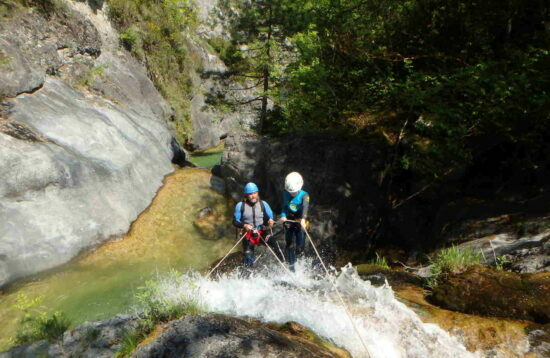 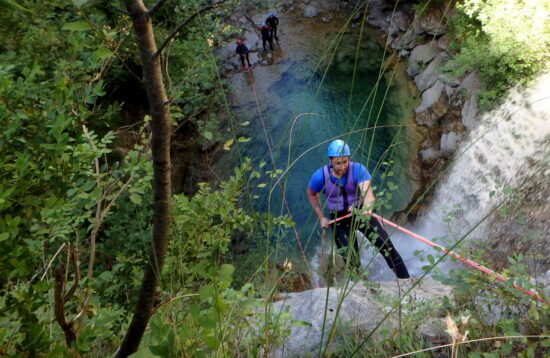 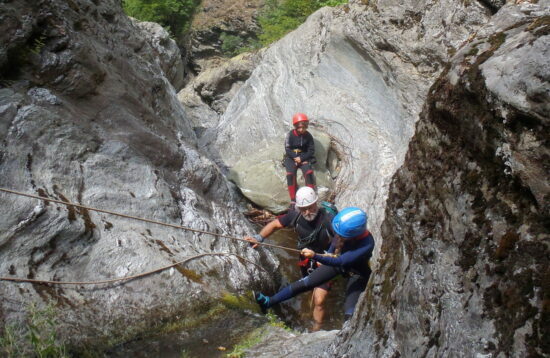 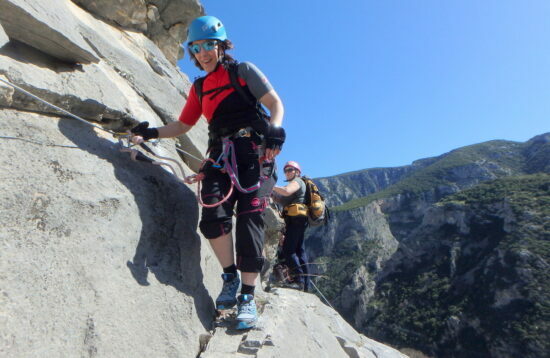 and the guidance of experienced canyoning guides (in our case, 2 guides per group of up to 10 persons). 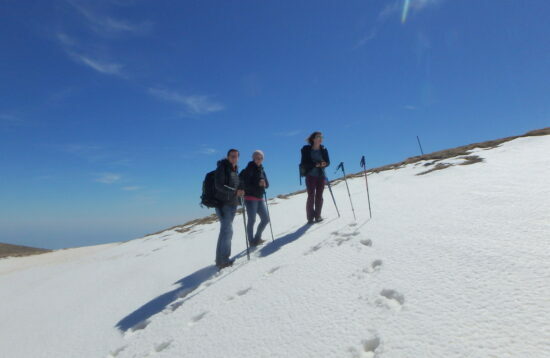 The gifted and plentiful nature, along with the professionalism, know-how and local knowledge of the Olympos Trek people, will guarantee a most unforgettable and exciting time! 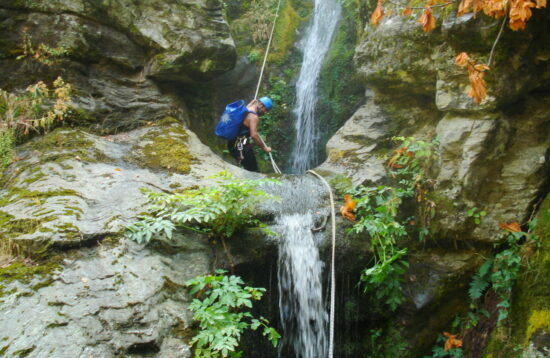 Your high spirit and love for everything nice and pure in nature will really help towards it!